Their newest and most adventurous recording to date called “Beneath The Open Sky” was a tour de force for the band, featuring friends and bluegrass luminaries Sam Bush, Jerry Douglas, Tony Trischka And David Grier, along with New York based musicians Alan Grubner and Tim Kiah. The album’s 11 songs collectively weave together a groundbreaking and beautiful patchwork of new American music, being called “refreshingly eclectic” by Rolling Stone, and “One of the finest, wholly bluegrass records one will hear in not only 2018 but as a touchstone moving forward” by No Depression magazine. Currently Nefesh Mountain plays over 150 dates a year worldwide with performances all throughout the US, Canada, Israel, England, and Australia. The Quintet consists of Doni Zasloff on Vocals, Eric Lindberg on Vocals, Guitar, and Banjo, Alan Grubner on Fiddle, David Goldenberg on Mandolin, and Max Johnson on Bass. 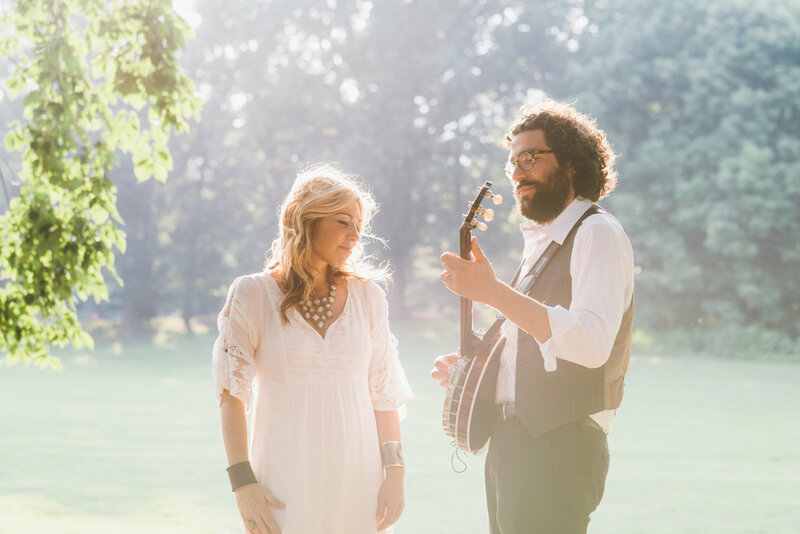 Their mission whether at a concert hall, festival, workshop, school, camp, or synagogue, is to spread the joy and magic of American roots music and help to champion and reinforce the powerful messages of diversity, wholeness, and harmony for our ever changing times. Billboard - Combining Bluegrass With Jewish Identity: "Our Truth Was This"
Featured in Billboard, The Bluegrass Situation, No Depression, Rolling Stone, Bluegrass Today, Bluegrass Unlimited, The Bluegass Standard, The Times Of Israel, Tablet Magazine. Featured on Nashville’s Iconic Tokens Show alongside Bryan Sutton, Jeff Taylor, Aubrey Haynie, Byron House, and Chris Brown. The first internationally touring band to combine Jewish Heritage and Values with the musical forms of Bluegrass and Old Time music.